For kids: Help us build a giant spider web! 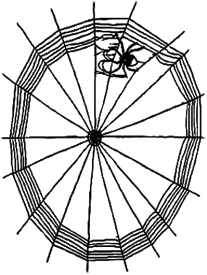 Learn about and make one of nature’s basic connections, the spider web! Meet at the Thoreau House Replica near the parking lot. Dress for the weather. Children must be accompanied by an adult. This entry was posted on August 28, 2015 at 12:41 pm and is filed under 9_15 Public Programs. You can follow any responses to this entry through the RSS 2.0 feed. Both comments and pings are currently closed.